Benito Moroyoki was another of the Rio Mayo carvers who were included in James Griffith’s Masters Thesis of 1967 (M29, page 48). 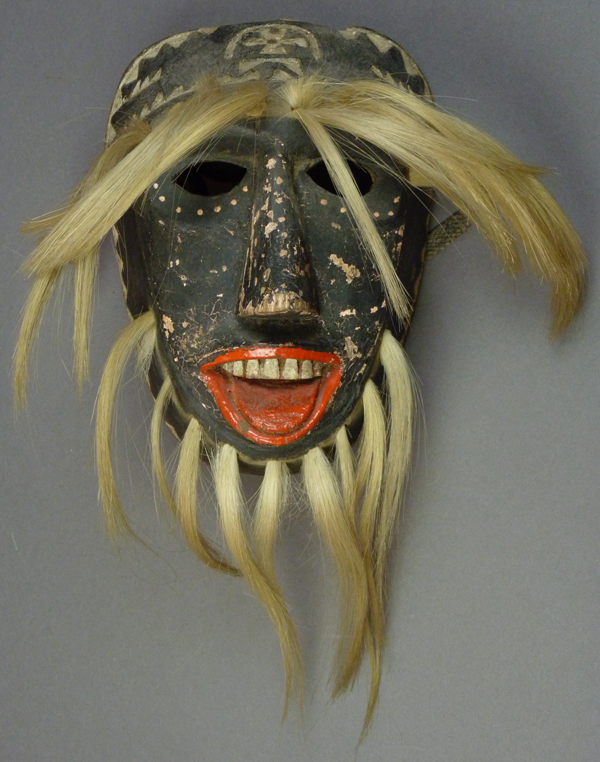 Unfortunately, Griffith included no information about this artist, beyond a photo of one mask that he later donated to the Arizona State Museum. 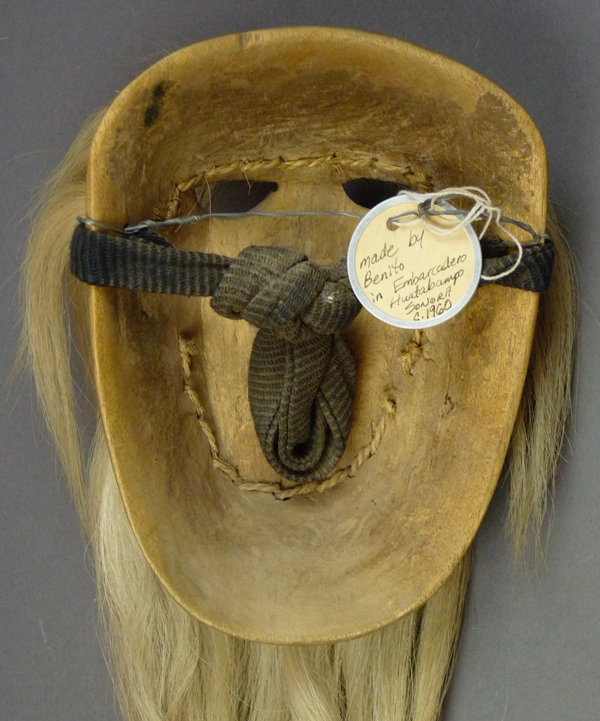 Here is a link to a photo of that mask, 2005-89-29 (the Arizona State Museum number for M29). 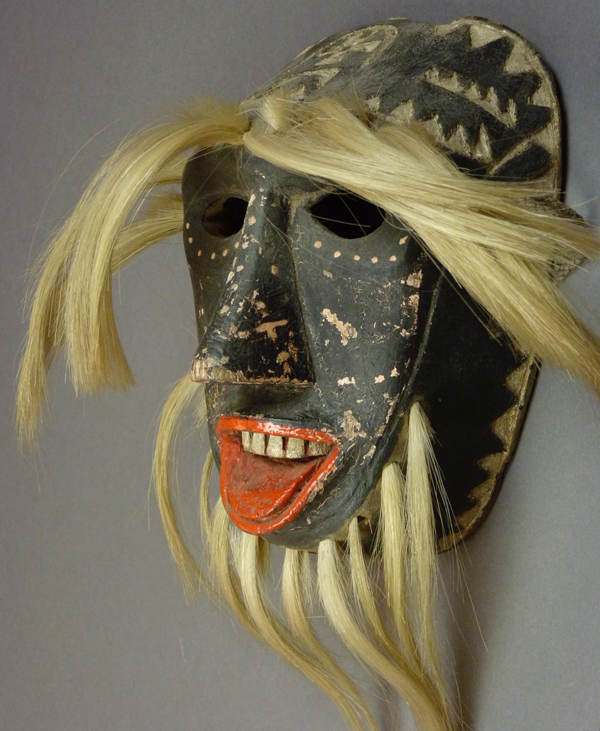 Due to a flawed algorithm, the link will falsely label other masks as Benito’s that were really carved by other artists. 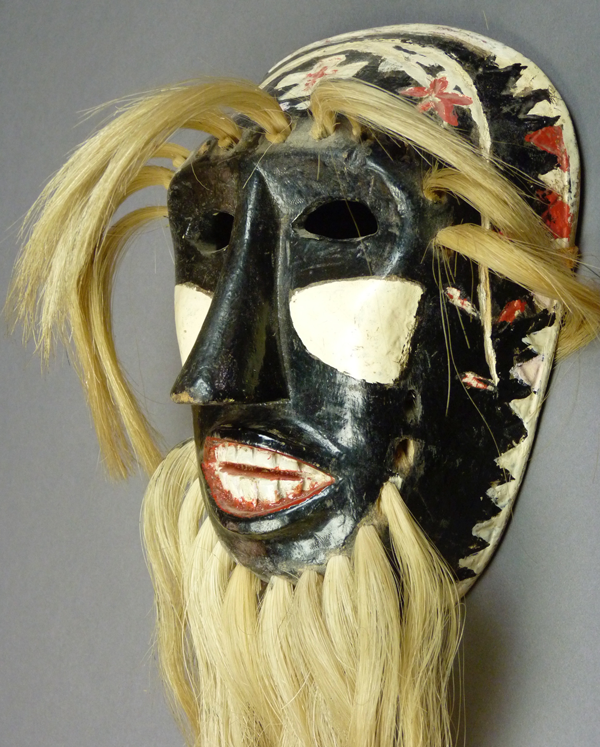 Benito Moroyoki’s masks are attractive, well carved, and relatively rare, so I have long admired them, but I never have had the opportunity to buy one for my collection. When I attended the museum of Leonardo Valdez in Etchojoa, Sonora with a group from the Arizona State Museum in 2006, Leonardo stated that although these masks were said to have been carved by Benito Moroyoki of Embarcadero Sonora, they were actually carved by Candelario Verdugo; for some unknown reason Candelario wished to create a second style of masks. At present both Candelario and Leonardo are deceased, so this assertion of Leonardo’s is not so easy to verify or deny. 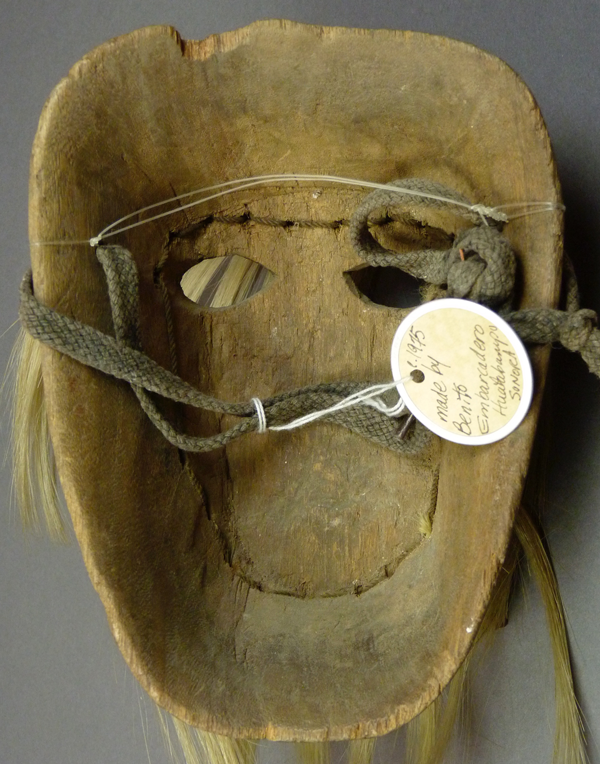 In any event, the masks said to have been carved by Benito do not closely resemble those of Candelario, and I will present them to you under Benito’s name. I count myself fortunate to have been permitted in 2011 to photograph an exciting group of masks that were said to be by Benito, when they were in the collection of Jerry Collings. Here is the first of this group, said to have been carved c. 1950. In this photo and the next, the rim design of small triangles appears to have been inscribed, the stems with flowers likewise, but both have been crudely repainted. I doubt that the original wedges on the cheeks were initially so large; they are certainly freshly painted. 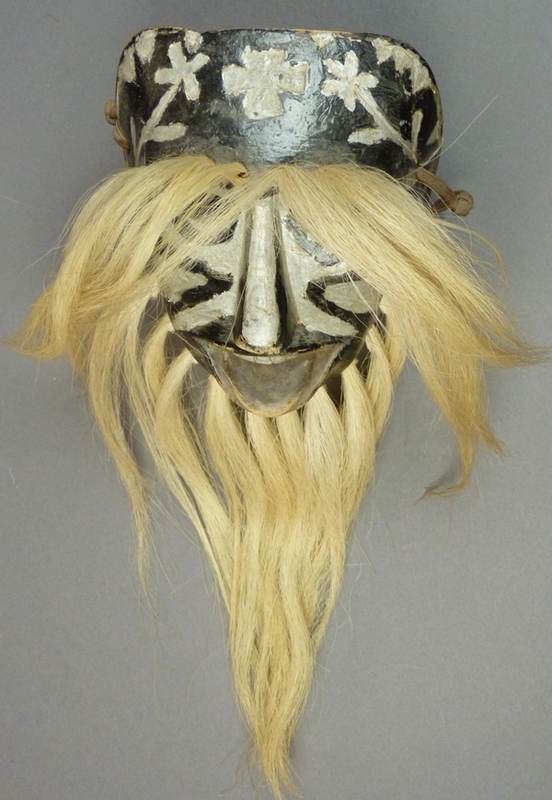 This mask is 7 5/8 inches tall, 5¾ inches wide, and 3 inches deep. We will see this identical back design on each of the other four masks. There is at least moderate staining from use, and the left side of the back appears to have been shaved to provide a better fit. 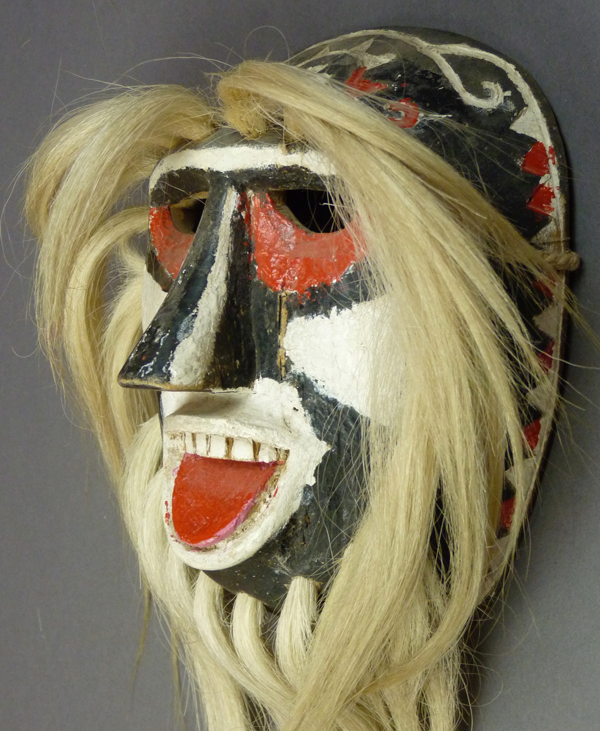 The next of these masks was said to have been carved in about 1960. 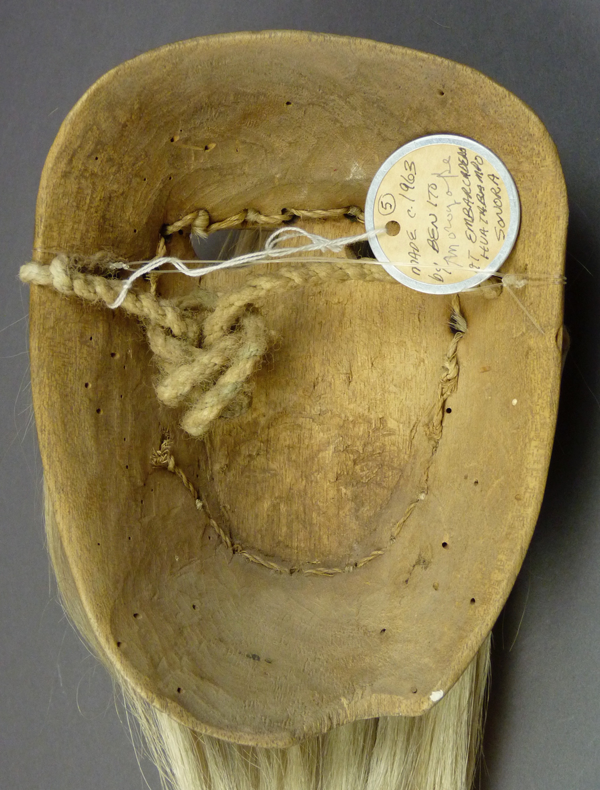 This mask has a slightly different incised rim design, in comparison to the other masks in this post. Again we find incised flowers and a recessed Maltese cross. The nose has attractive stripes. 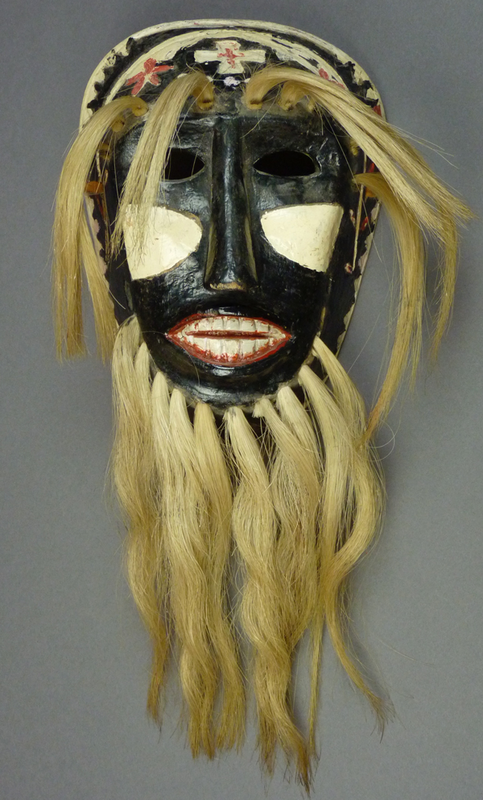 This mask and the three that follow all have extended tongues. 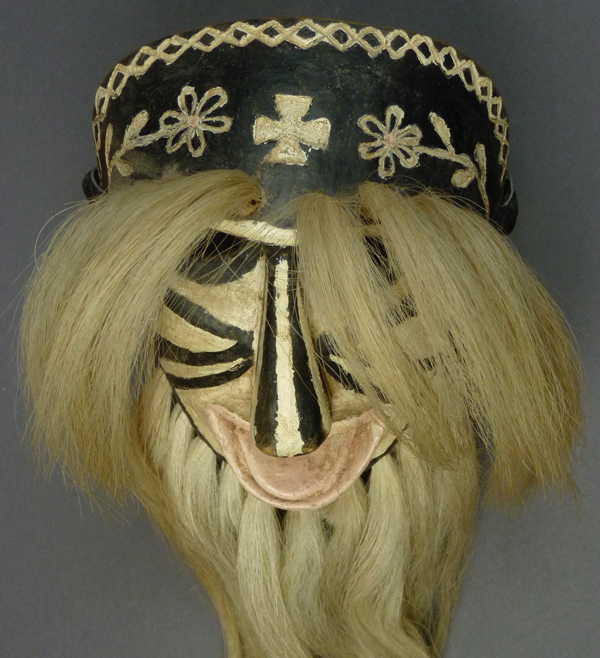 This mask is 7 inches tall, 5 ¼ inches wide, and 3½ inches deep. This is a heavily worn back. 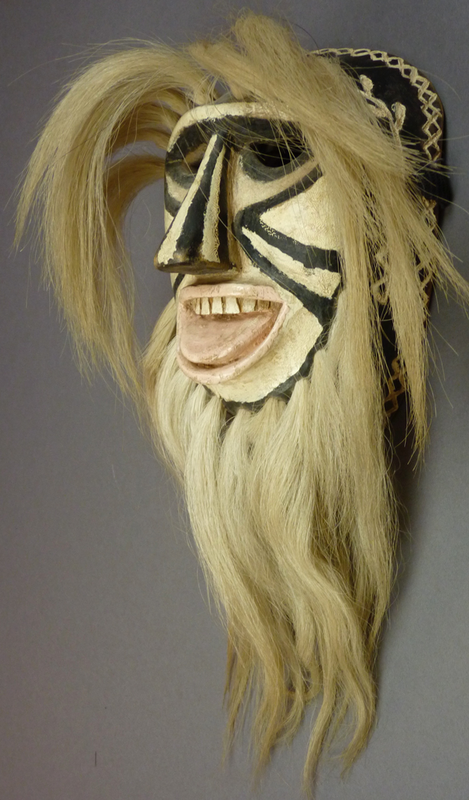 The third mask was said to have been made in about 1963. 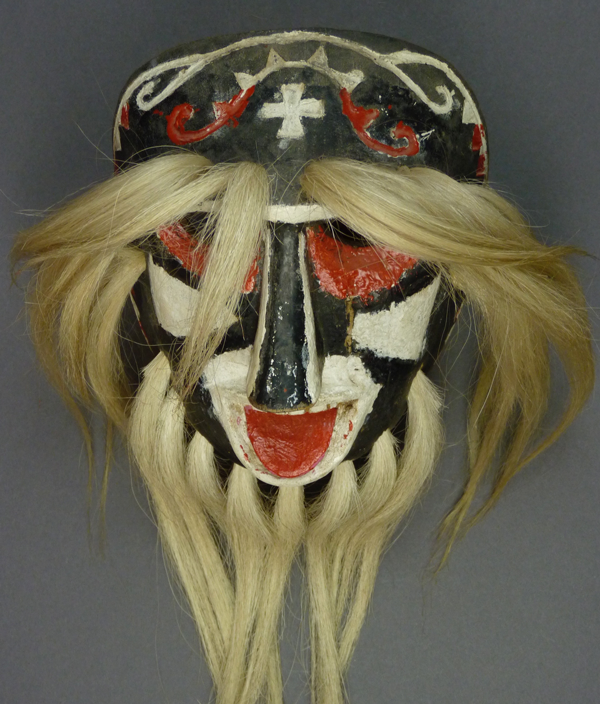 This one has a rim design like the first mask, a striped nose, the usual Maltese cross, and an extended tongue. Across the top the rim design has a scrolled section, and another attractive scroll frames the cross. The noses on these masks are very nicely shaped. 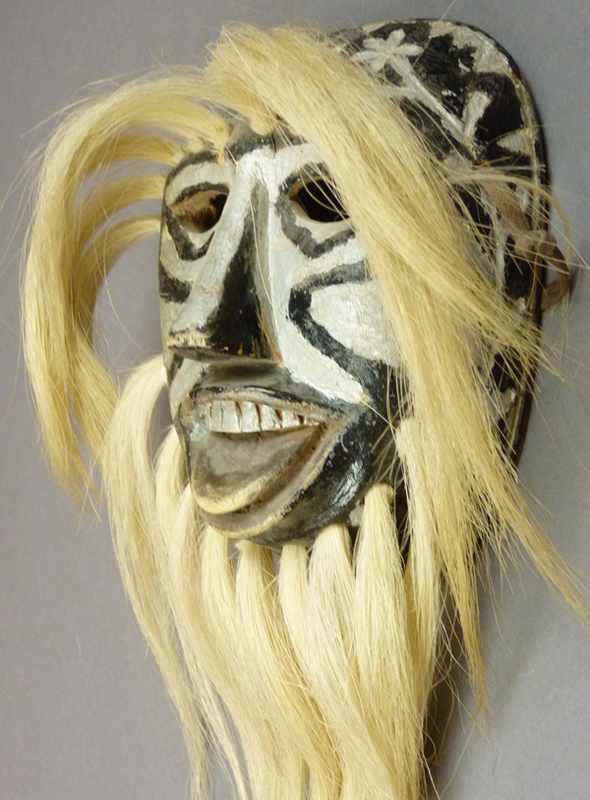 Like the other four, this mask has separate brows and a beard, rather than a ring of hair tufts. 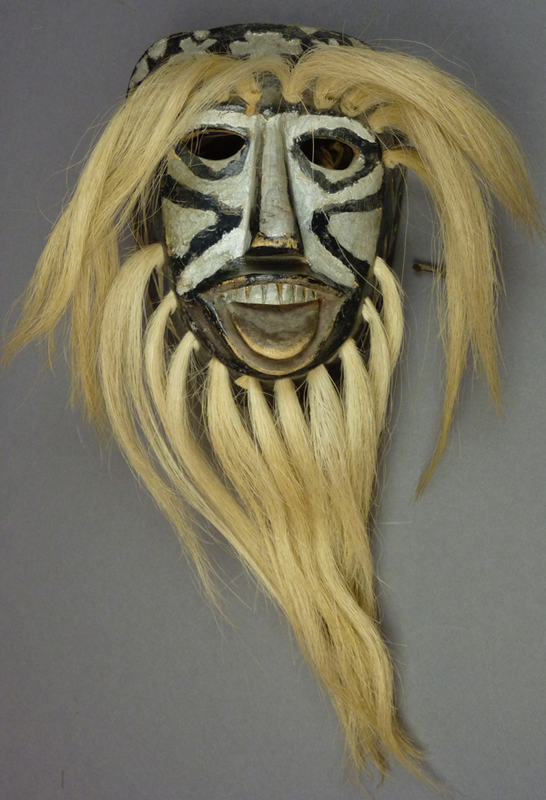 This mask is 7 inches tall, 5 inches wide, and 3¼ inches deep. This back demonstrates moderate wear, and there is a broken edge on the right side. 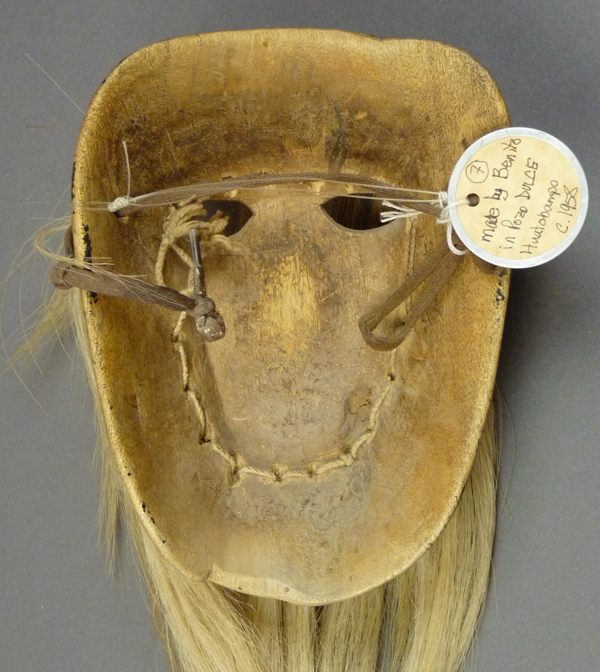 The fourth mask was said to date to about 1975. The paint on this mask is worn. The forehead cross is framed by a small arc and appears to rest on an alter (which is very unusual), and it is flanked by two layers of incised designs that mirror the rim design. All this creates an attractive combination. We find the usual delicately carved nose to be worn from careless treatment. The cheek designs have been worn away. 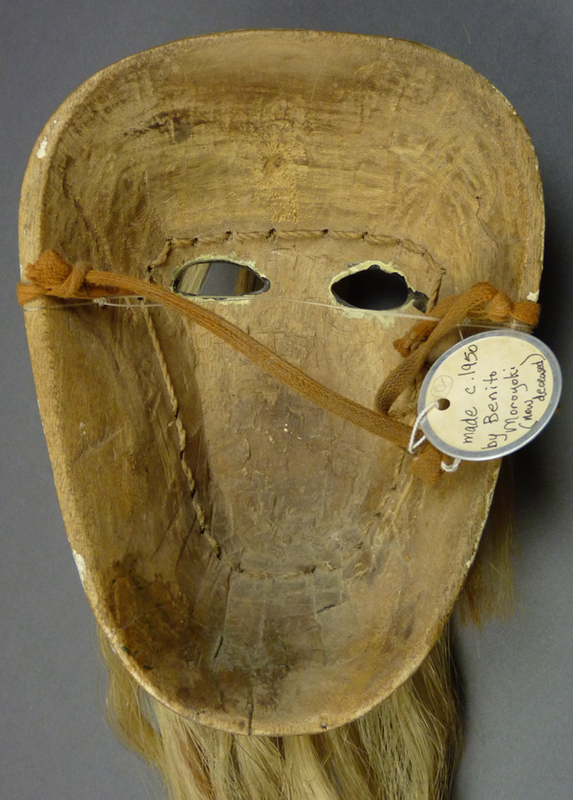 This mask is 7 ½ inches tall, 5 ½ inches wide, and 3 5/8 inches deep. Like the face, the back is worn, and provides additional evidence of rough treatment. 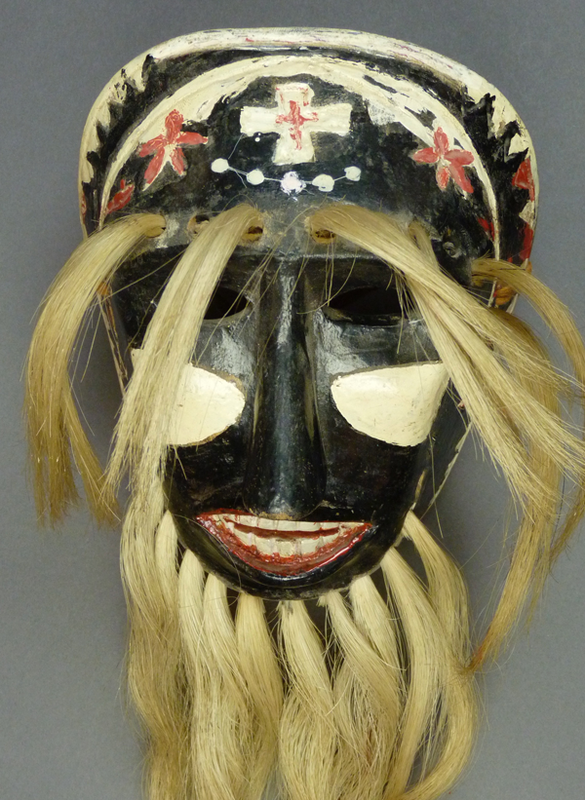 The last of these masks was said to date to about 1985. I am guessing that it was collected then, but made much earlier. 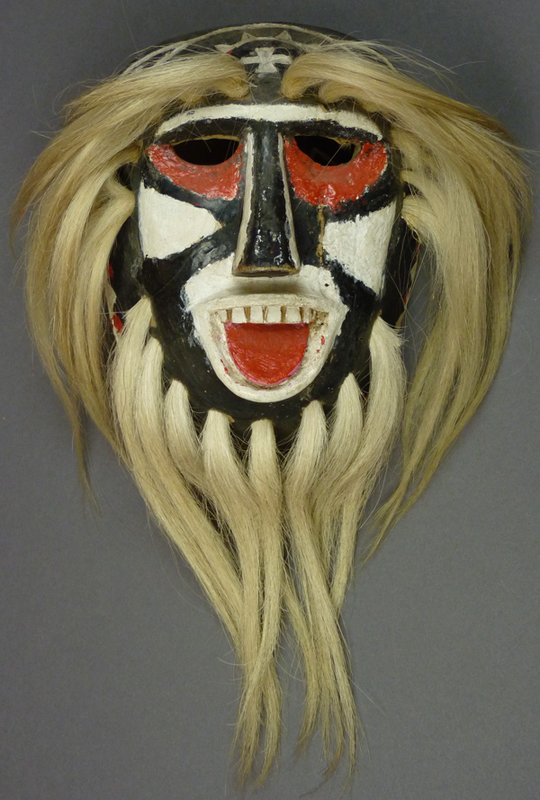 Except for the paint, this mask looks just like the others. Look at the wear on the nose and tongue. The incised flowers look a lot like those on the second mask. 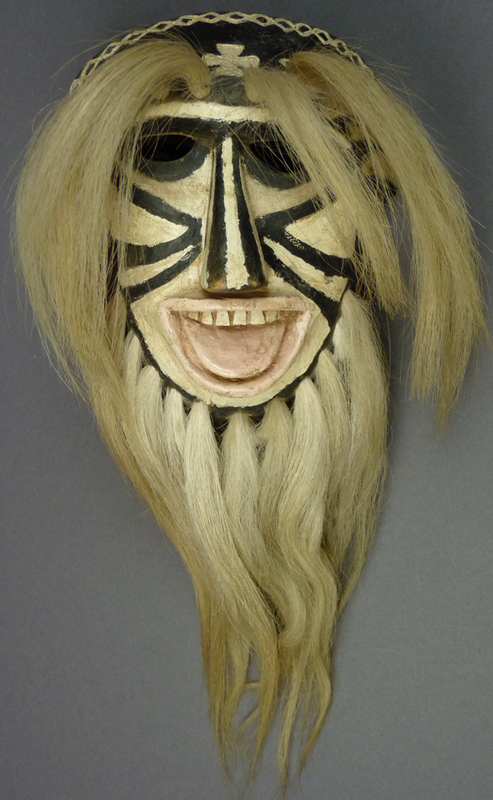 This mask is 6 5/8 inches tall, 5 inches wide, and 2¾ inches deep. The back demonstrates marked staining from heavy use, as well as additional wear. I hope you enjoyed seeing these beautiful masks. 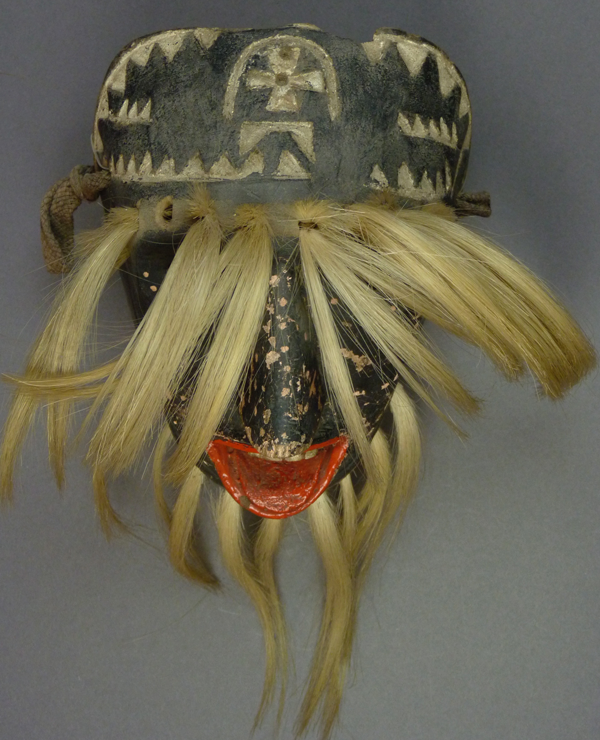 Next week we will examine Rio Mayo masks with unusual contours.